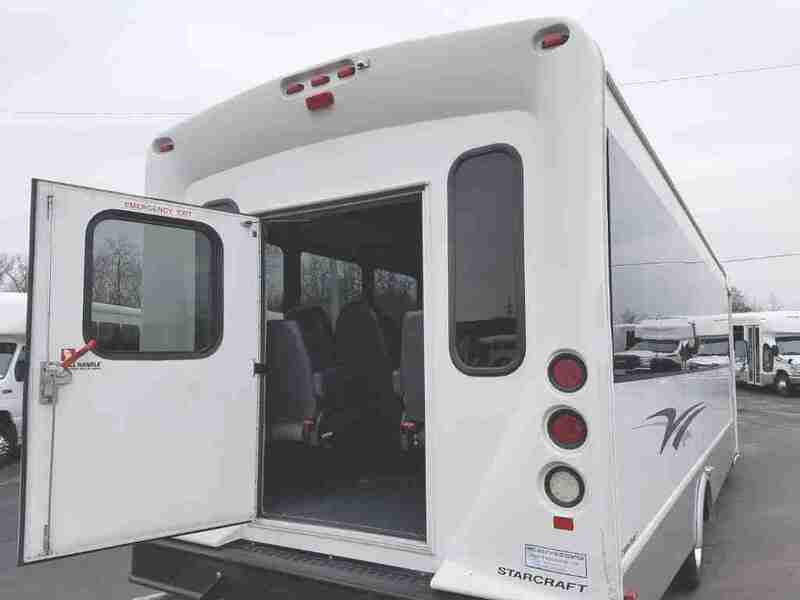 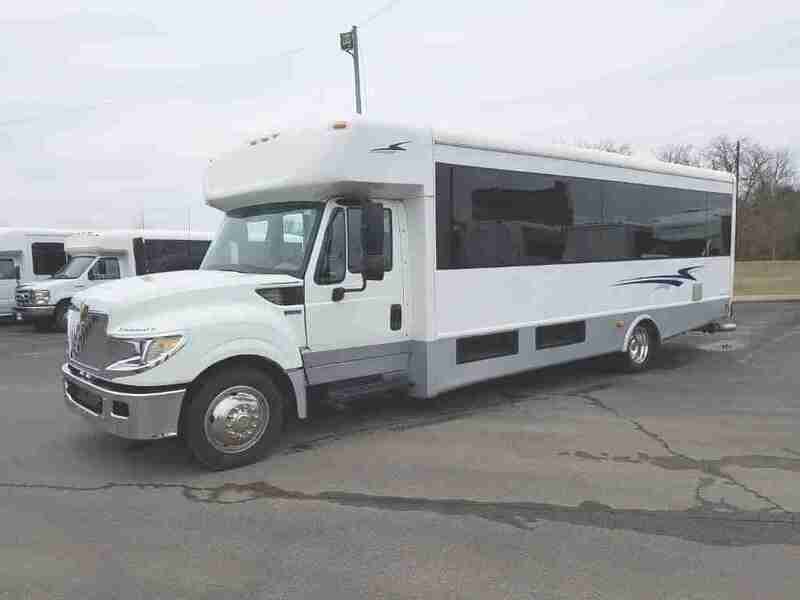 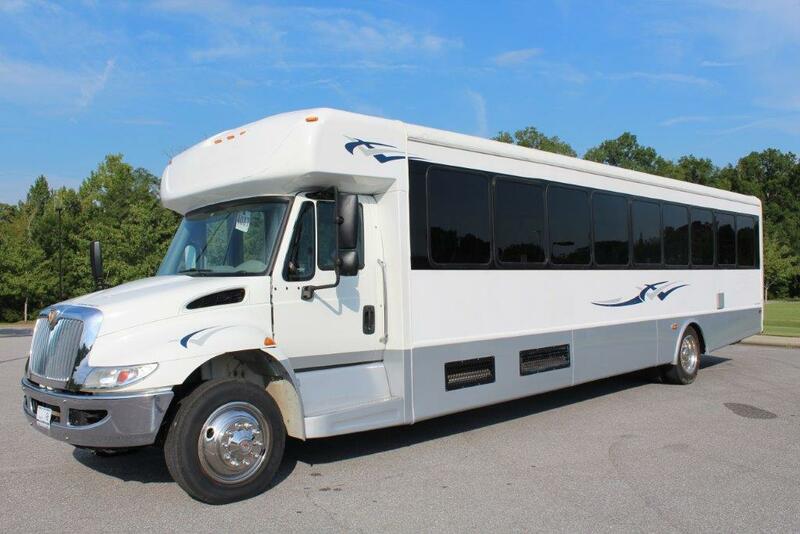 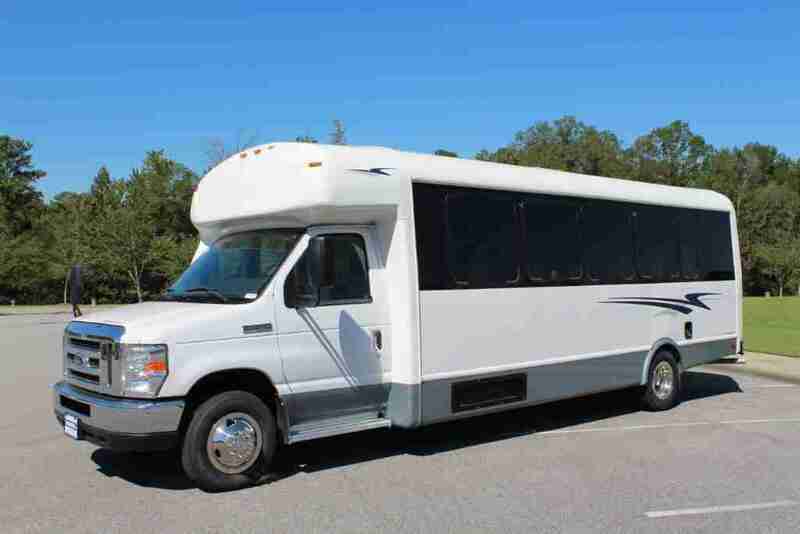 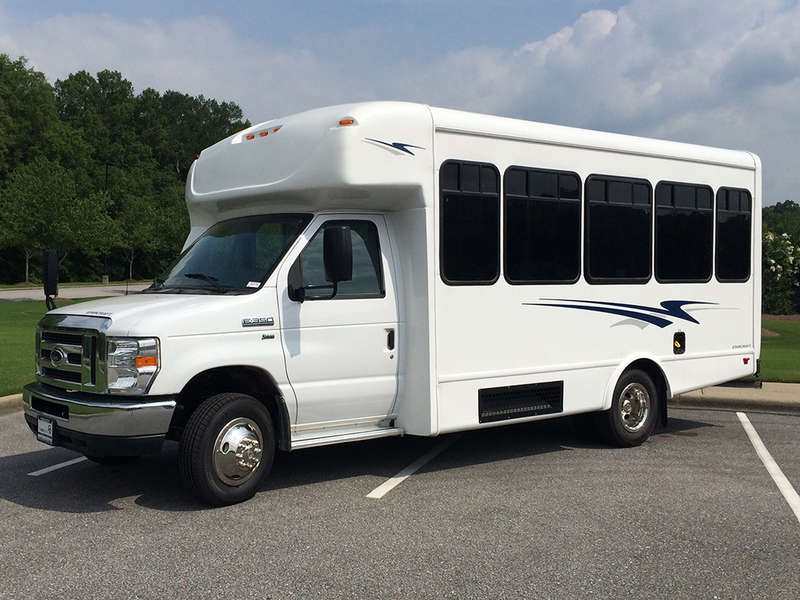 This 2014 Starcraft Allstar XL comfortably seats 28(32) Passengers + Driver and has 52,705 miles on it. 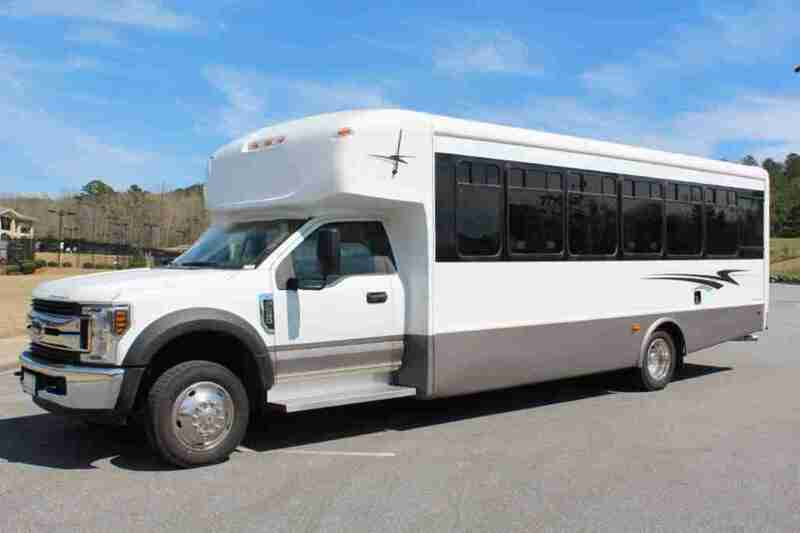 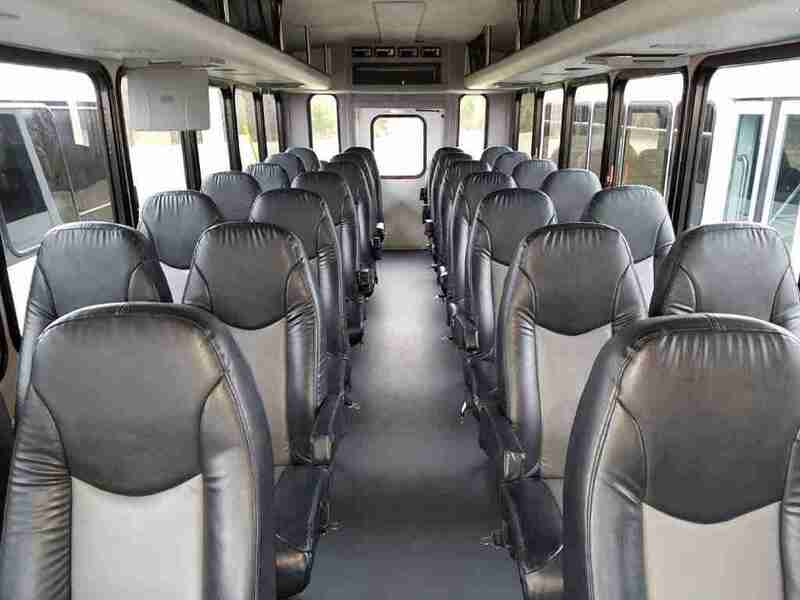 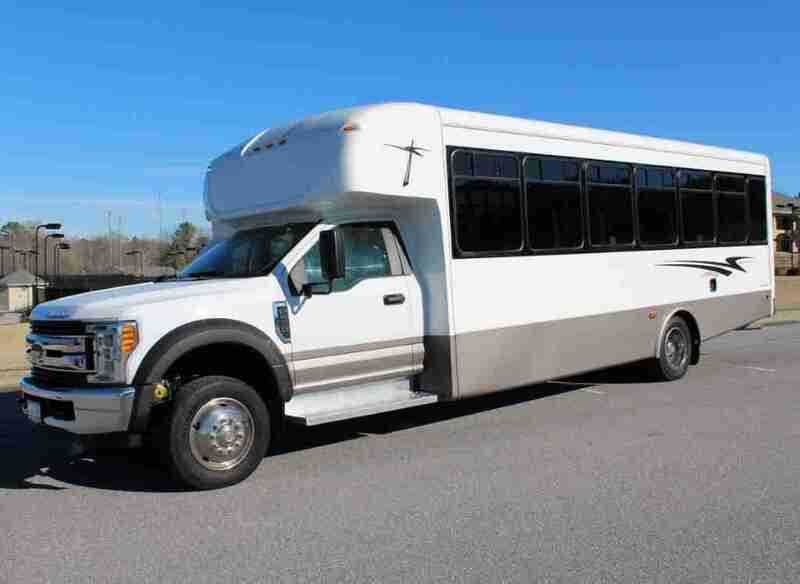 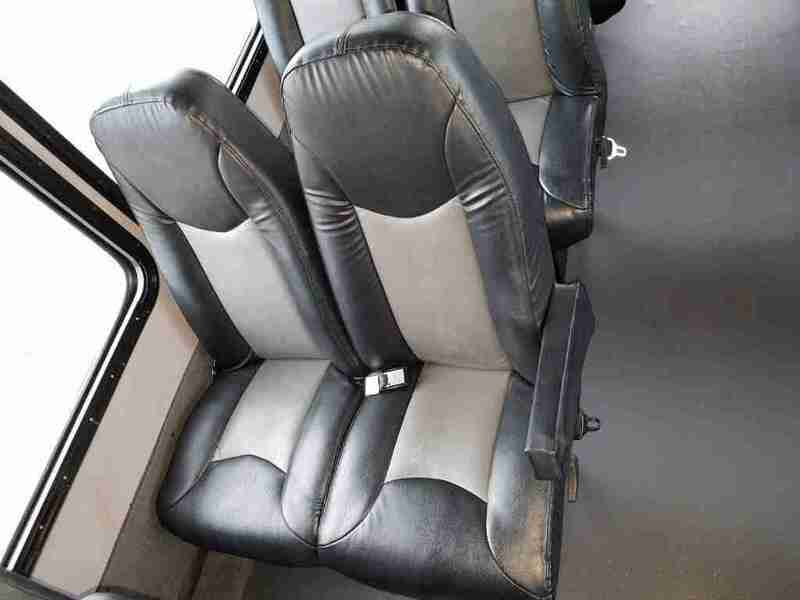 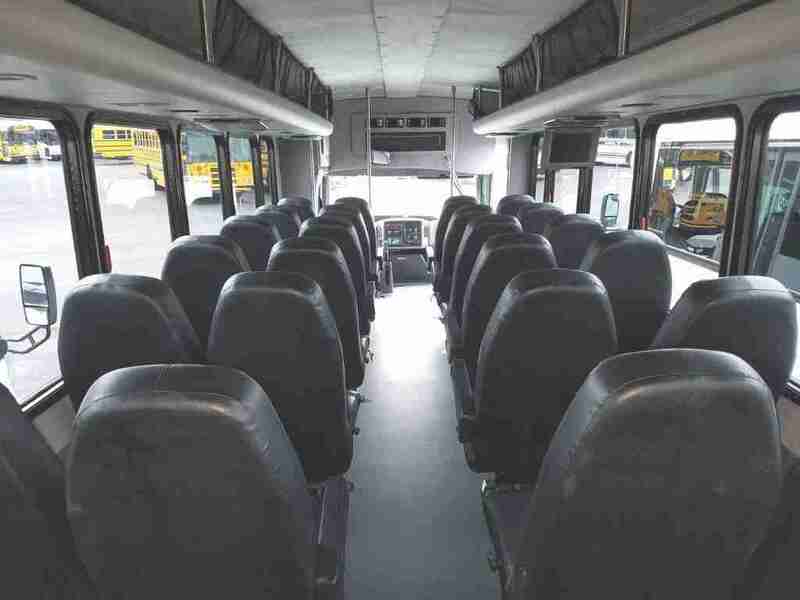 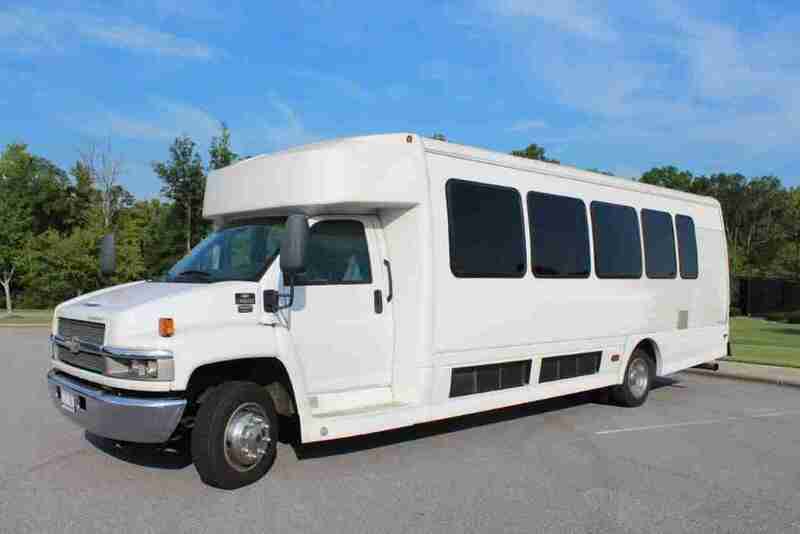 This bus is equipped with a 100,000 BTU A/C System with Dual Compressors and has a Rear Luggage Area with Cargo Net. 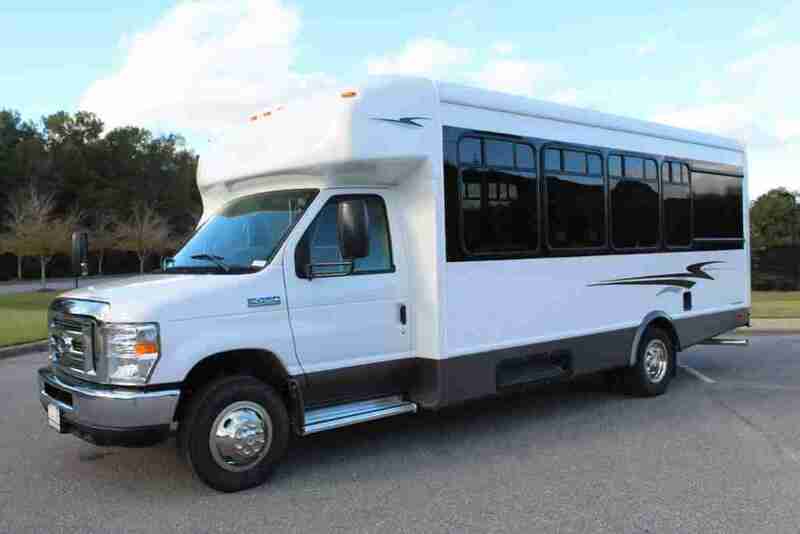 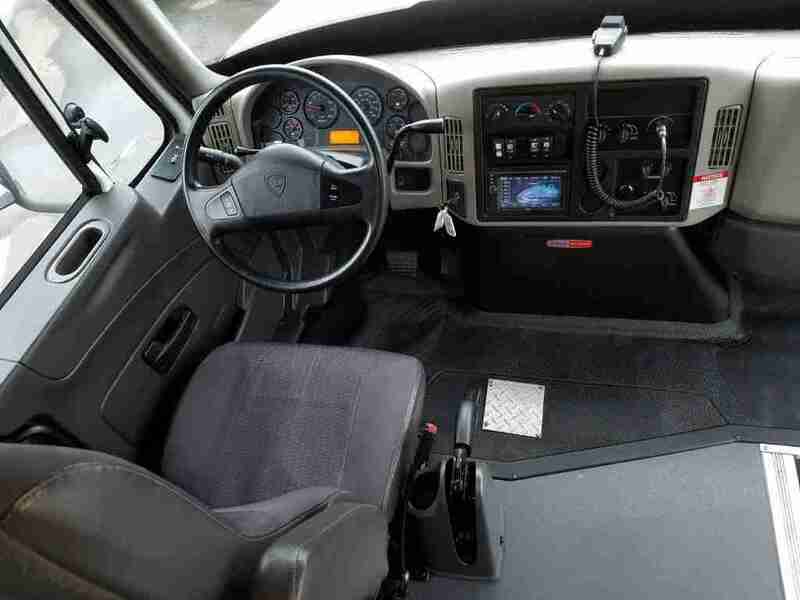 Other features include; Door Activated Interior lights, Touch Screen AM/FM/CD/DVD/GPS Bluetooth Color Backup Camera System with (6) 10″ Flip Down LCD Monitors, (1) Freedman Shield Drivers Seat, (2) Berkshire Double Foldaway Seats, and (28) Upgraded Berkshire Seats with Level 5 Two-Toned Leatherette, Recliners, Aisle Side Seat Sliders, Padded Upholstered Armrests, and Retractable Seat Belts. 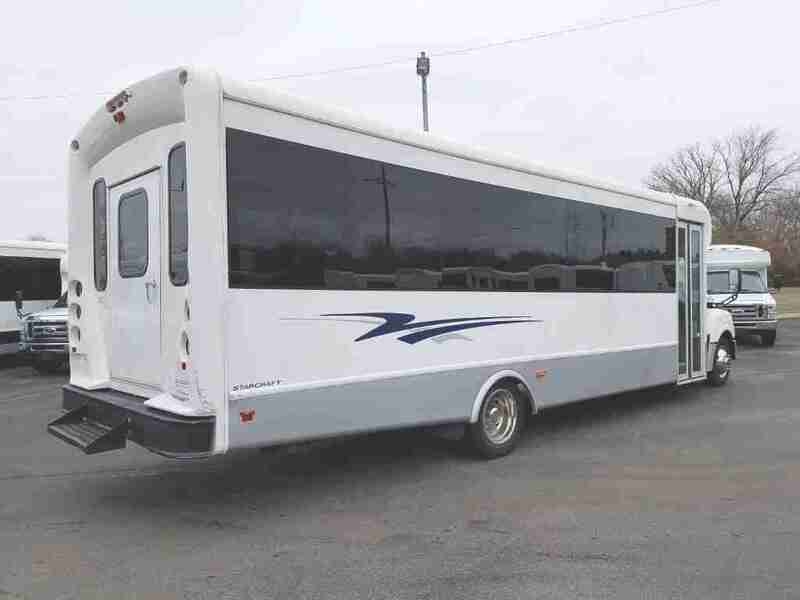 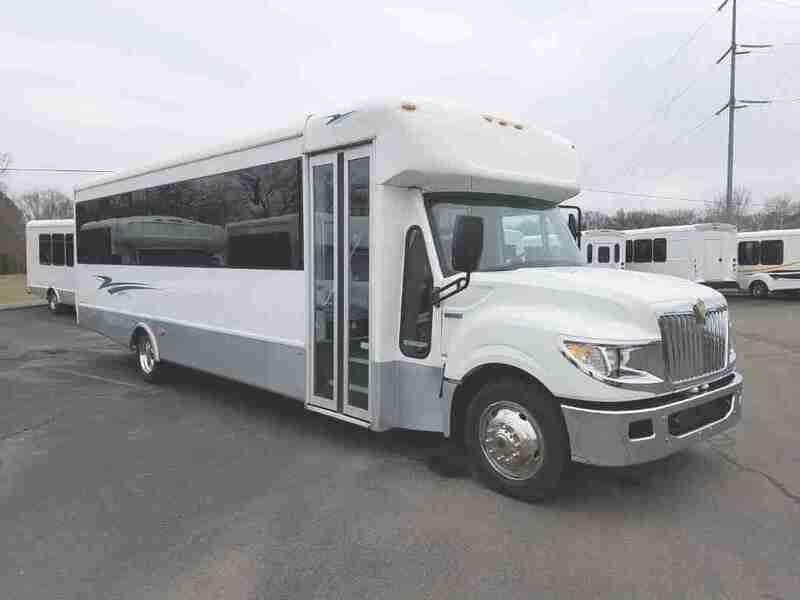 We have 2 Identical Buses Available!